Autumn is one of my favourite times of year, with the other being Christmas! I like to feel the air cool, see the leaves fall and the nights draw in. I probably also like autumn as it brings my birthday month and because I love Halloween! Combine that with my love of bargain shopping and I bring you my first ever Halloween haul!!! 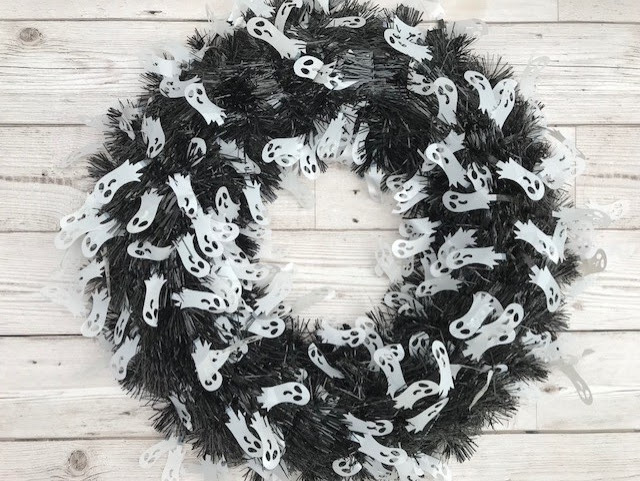 First, is this ghostly wreath. At £2.50 from Primark its a bargain! Next are these props! 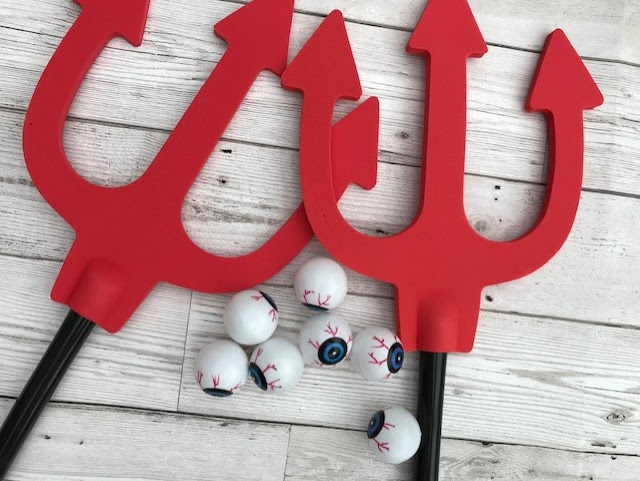 A pair of devil forks and bag of eyeballs! The eyeballs were 99p and will possibly go in cocktails, I'm not sure yet. The forks were £1.49 each from Home Bargains and I'm going to pop them at the front door in plant pots. I quite like these as the fork part is foam, so if a certain 4 year old gets hold of them he shouldn't cause too much damage! 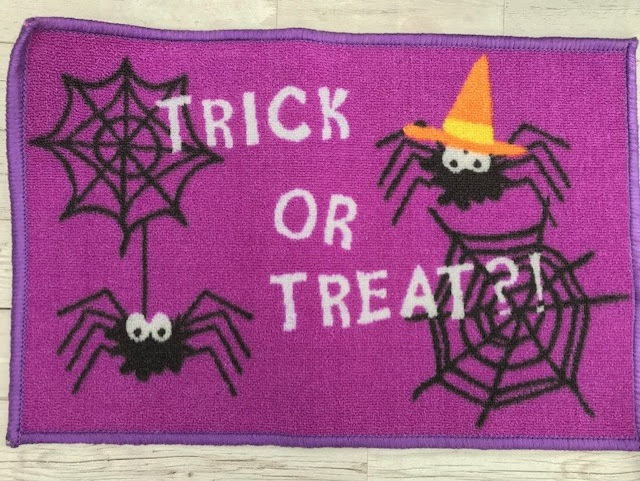 Also going at the backdoor is this door mat. This was £2.49 at B&M and there was lots of choice too. 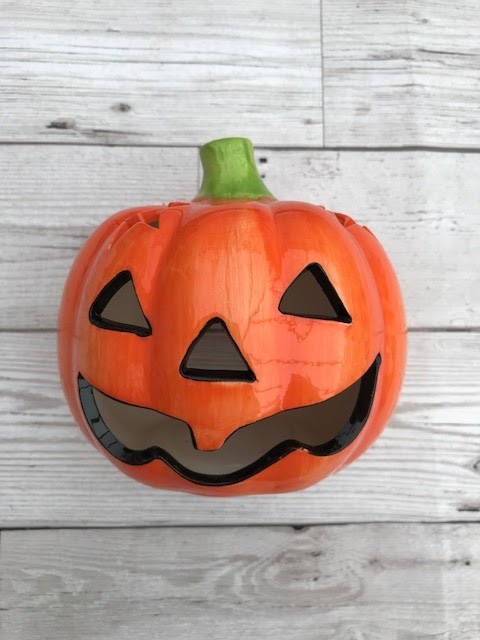 We've already got plenty of tealight holders but I couldn't help buying this one! Well, it was only £1.00 from Poundland! Next is our selection of sweets! The chocolate eyeballs were £1.00 at Poundland. The bag of sweets was £1.99 from Home Bargains and has a spooky Halloween theme. 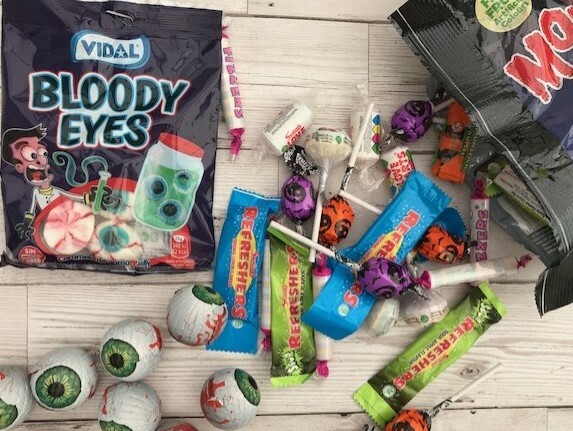 The bloody eyeballs are going to be used for cakes and were 59p from Home Bargains. 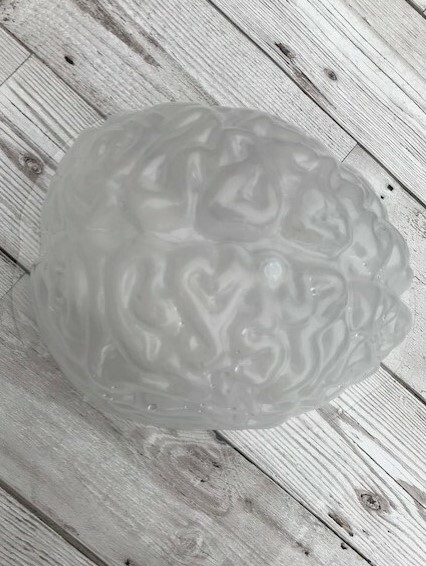 The brain jelly mould is something I've been on the hunt for! I bagged this one from Hobbycraft for £1.00 as it was slightly damaged. These pumpkins were also from Hobbycraft for £1.00. 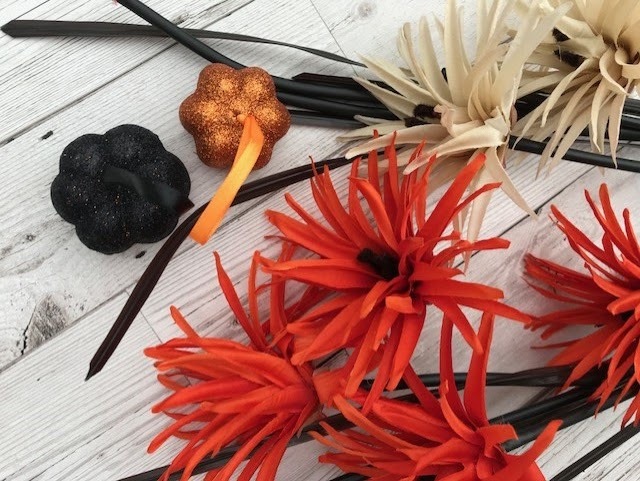 They were a set of 3 but I've used one already in my Autumn Wreath. The flowers were £2.99 from The Range and again there were more of them but I've used some for the wreath. The pumpkins and flowers will probably be used to decorate the table. 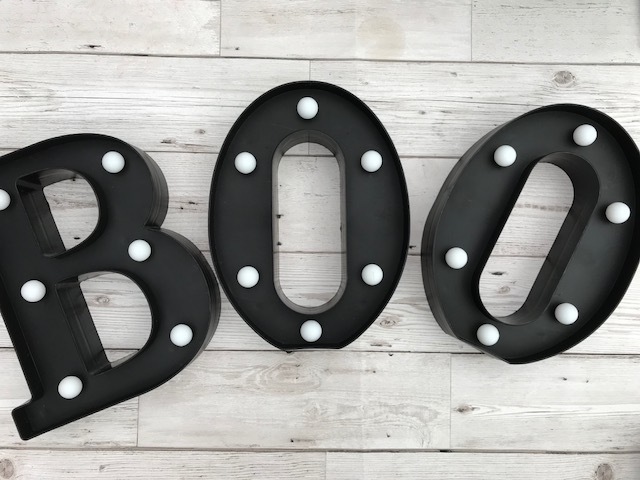 Also, going on our dinner table will be this boo sign! A complete bargain at £2.00 from Poundland! So, there it is! My first Halloween haul! Let me know which are your favourite items and in the comments!